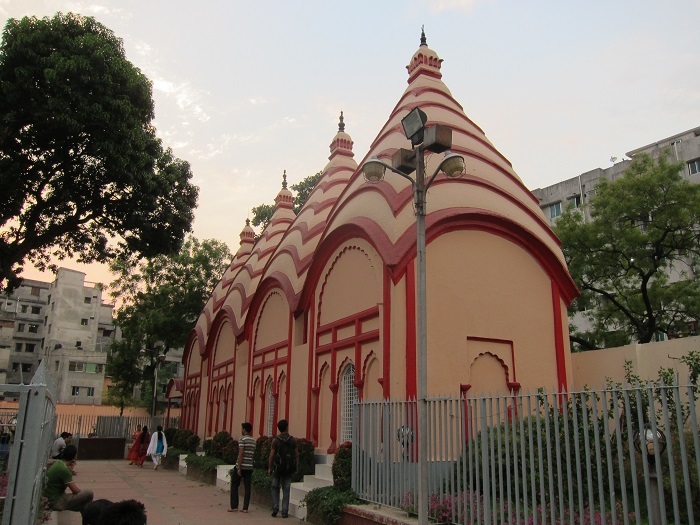 Dhakeshwari Temple is an important Hindu temple which is located in the capital city of the People’s Republic of Bangladesh, Dhaka. 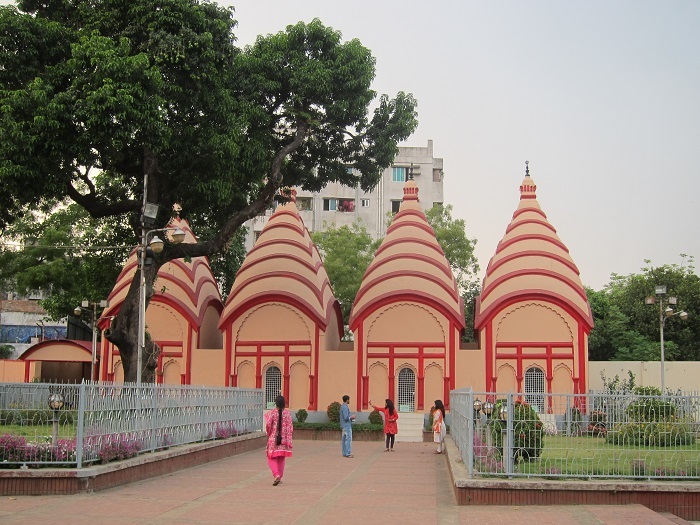 Since it is owned by the state, most of the time the temple is referred to as the ‘National Temple’, and also the name means “Goddess of Dhaka”. 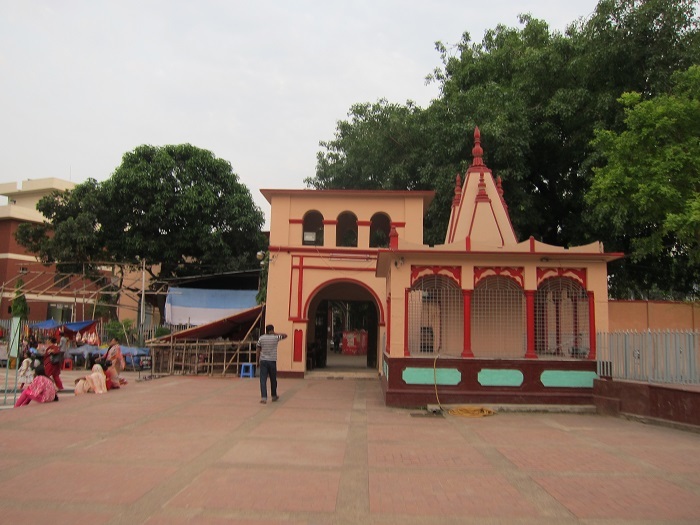 Today, Dhakeshwari Temple serves as the most important Hindu place of worship in Bangladesh, due to the destruction of the previous temple that was destroyed by the Pakistan Army in 1971 during the Bangladesh Liberation War. Considered to be built in 12 century by the King of the Sena Dynasty, Ballal Sen, today it can not be confirmed that the architectural style is from that period due to the many repairs, renovations and even rebuilding that took place here. From the exterior we can come to a conclusion that the person who built this temple, had very little influence on the culture of Bengal, however, many of the features suggest some similarities to the Arakanese religion and religios practices. 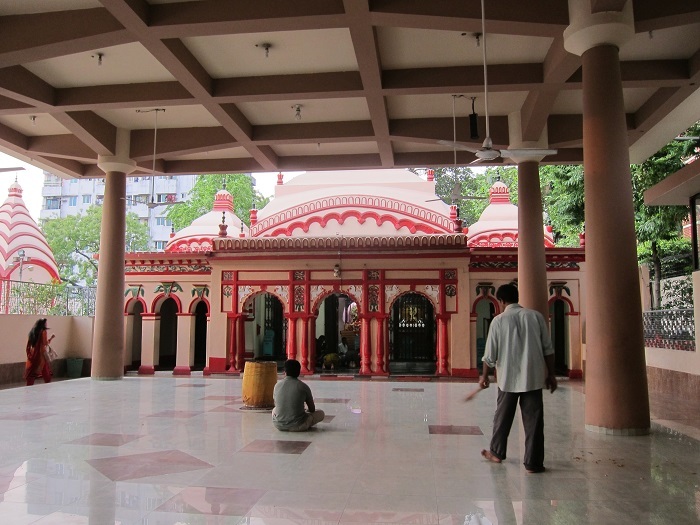 Within the temple, two types of architecture can be found. 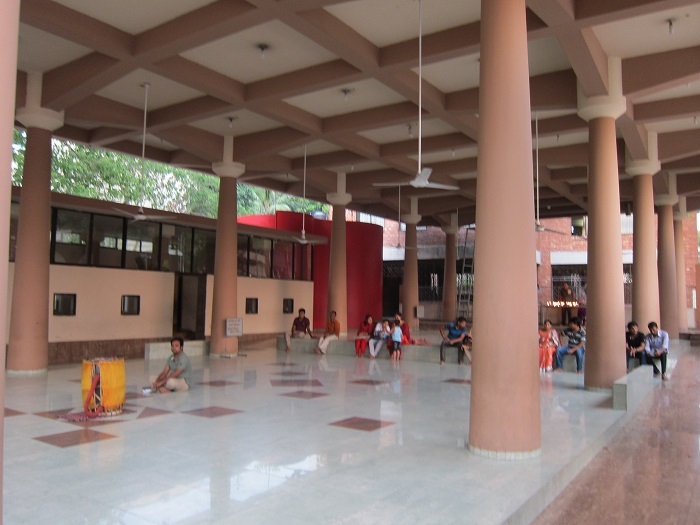 The ancient one is of the Poncharotna Goddess Durga’s which lost its actual look after the renovation work. 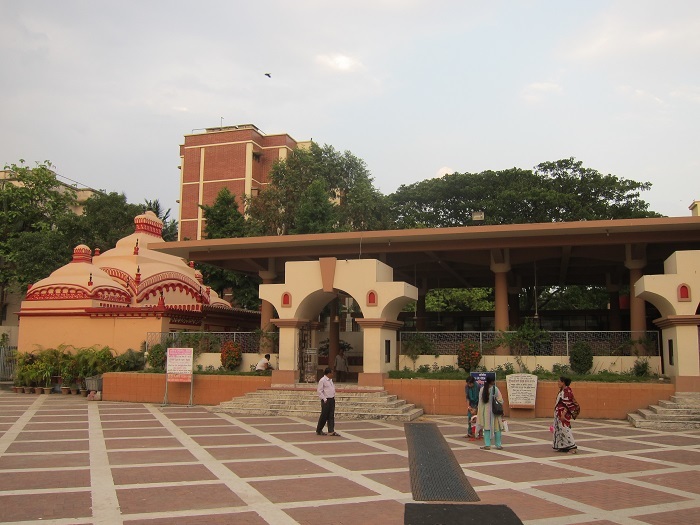 The present temple is two hundred years old which was built by an agent of the British East India Company, who probably renovated it. The interior is filled with row of rooms and a big pond with nahobottola gate through which elephants used to go. Within there are also tombs that can be found, within which are buried saints who used to pray or meditate at the temple. 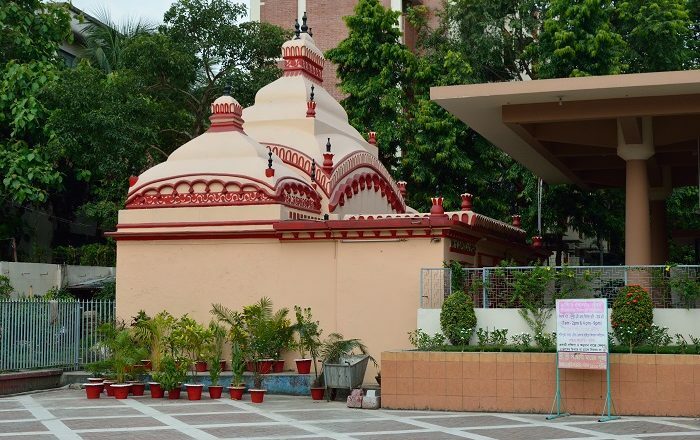 Still, being a great place of socio-cultural as well as religious activities, the most important event in the Bengali Hindu calendar, the Durga Puja, is held at the temple. Declared as a National Temple of Bangladesh in 1996, the Dhakeshwari Temple is definitely the place in the majority Muslim Bangladesh where people can tell their prayers in peace, and learn something more about really long history of the temple.